Posted January 14th, 2011 by SRECTrade. (2) outside the area described in item (1) of this subsection but in a control area that is adjacent to the PJM region, if the electricity is delivered into the PJM region. This means that Maryland buyers can procure SRECs from anywhere in the PJM region or a “control area” bordering the region if the electricity is delivered into the region. Note that § 7–701(l)(1) refers to solar specifically. This makes things even more confusing because what it attempts to say is that Maryland buyers can purchase SRECs from facilities not connected to the grid serving Maryland until the end of 2011 as long as they can prove they cannot source SRECs from within the grid serving Maryland. What does that even mean? 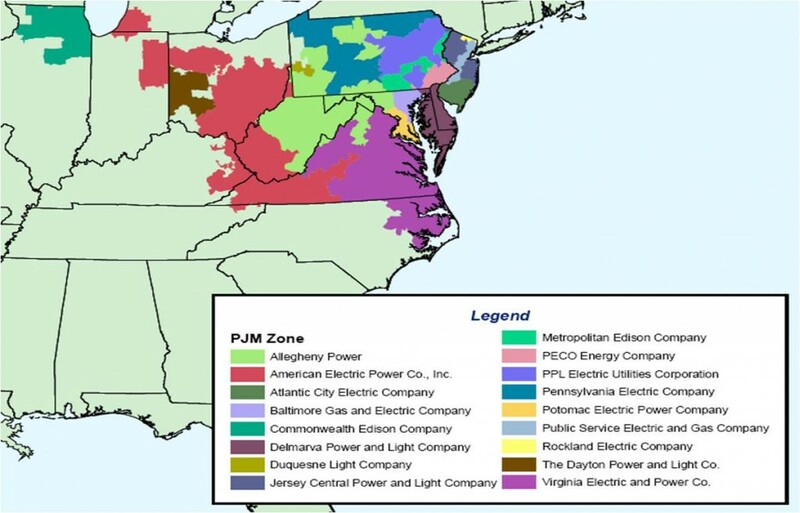 Is the “electric distribution grid serving Maryland” the same as the PJM Region? Is it just the state of Maryland? Is it the PJM Region plus adjacent control areas as long as the electricity is delivered into the PJM Region? Furthermore, how does a buyer prove that they can’t fulfill their requirements within the electric distribution grid, so that they can get approval to buy from facilities not connected to the grid? Our interpretation: If you’re not connected to the electricity grid serving Maryland, it’s probably not worth the trouble to apply. For starters, if you can sell them, your SRECs are only usable in 2011. In addition, the buyer would need to provide proof that they can’t procure SRECs from within the grid serving Maryland. Assuming that this refers to the PJM Region, then it is highly unlikely that buyers in Maryland would not be able to procure SRECs from within the grid. And finally, onerous requirements like “Mail the original and 14 paper copies of all documents” in the Maryland application process make it one of the most tedious state certifications out there. What we do know is that there are 2.3 MW of projects outside Maryland that are currently registered in the state and generating SRECs in GATS. These facilities are from: DC, DE, IL, NC, NY, OH, PA, VA, WV. Of the 107 facilities from outside Maryland, 63 were built in 2010. All of these states are within the PJM Region with the exception of NY, which had 4 facilities from 2004-06 approved. It is likely that the Maryland Public Service Commission has since stopped accepting NY facilities and other facilities from outside the PJM Region. While we can’t predict how buyers view out-of-state SRECs in Maryland, we now have an in-state/out-of-state option for buyers in the Maryland SREC auction. If you have a facility that is located in the PJM region, we would encourage you to apply to the Maryland SREC market (despite the impact that 14 copy requirement might have on the environment). Instructions can be found on our State Certifications page. We can also do it for a fee if you are an EasyREC customer. If you have signed up for the EasyREC service, we will do the DC State Certification on your behalf. Please complete our EasyREC registration forms to get started. Please fax the forms to SRECTrade at (732) 453-0065. If you currently have a facility certified in another state (ie. MD, DE, NJ, or PA), download and complete this form. If you do not have a facility certified in another state (ie. DC, VA, WV, TN, NC, KY) use this form. The DC registration process is currently taking approximately 10-12 weeks to complete. Once approved, Washington DC will mail a letter to you with your facilities state certification number. Anyone within the PJM region can be certified in Pennsylvania. If this is the first state you are getting certified in, the PUC has instructed the program manager to only count SRECs generated after the date of application. Therefore, it is imperative that you apply as soon as possible. If you have previously been certified in another state, your SRECs will all have the PA certification applied to them when you are approved. If you are an EasyREC customer already, simply fill out the PA State Certification Forms. If you have not signed up for EasyREC, you will also need to complete the EasyREC forms. Please feel free to contact us at EasyREC@srectrade.com.